Woods. Digita print, 70x100cm, 2016. Ideas come to Roca during his walks through cities or the woods; some he discards, others he saves for later and some are put to use in the studio. 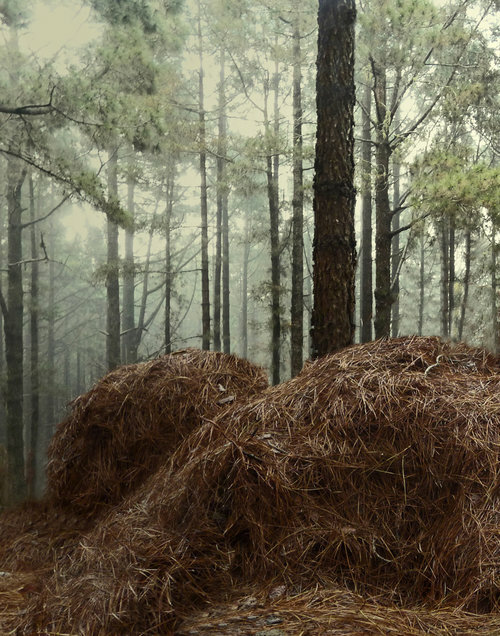 On his way to work on Teide Roca commonly passes through the forest on La Esperanza and one day he was struck by one of these ideas while observing the stacks of pine needles made by local farmers, known as pinocheros. He decided to take some of those pine needles with him. He placed a large piece of white cardboard on the floor and began drawing with the pine needles, using his hands and feet, with a dancing rhythm that permeates the images. Choreographies, Digital print, 2016. 70cm x100cm. Creation, digital print, 2016. 70cm x100cm. Choreographies 2016. Pine needles drawing. Digital print. 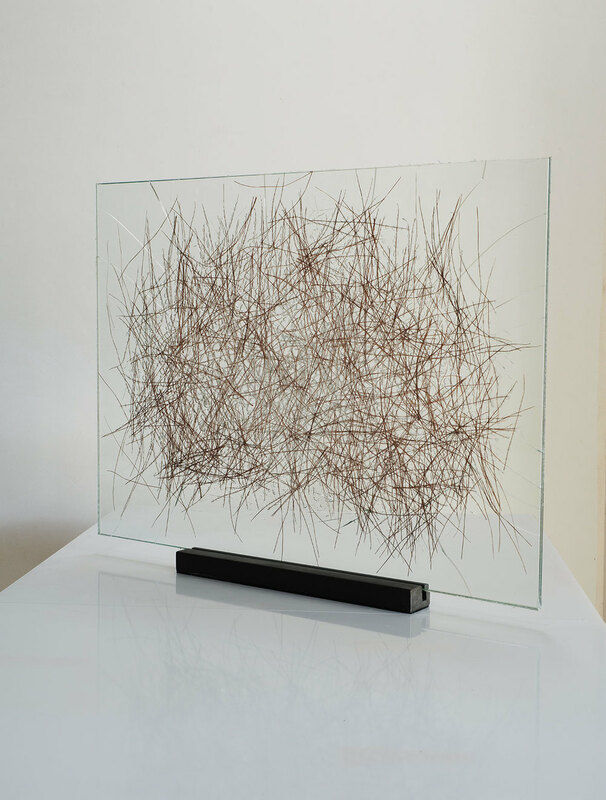 Pineneedles insertions in glass 300x200cm. El Poris, 2015. 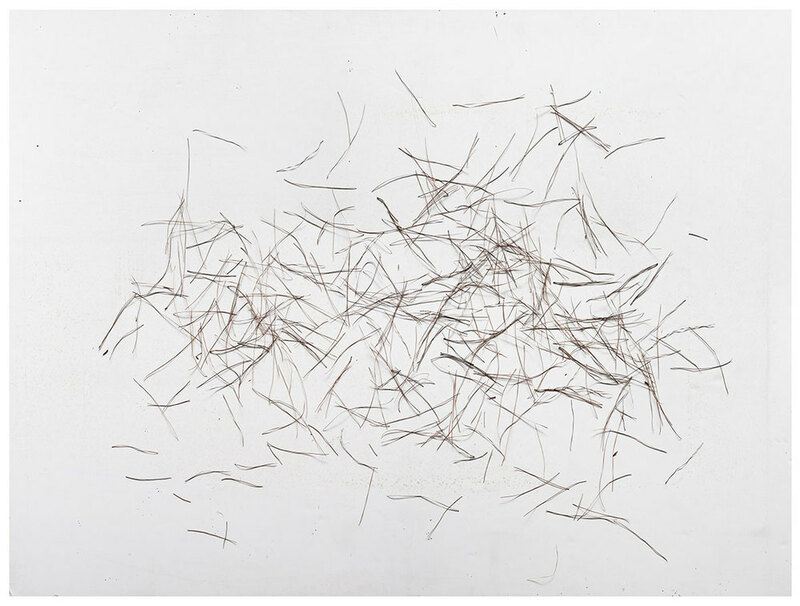 Pine needles insertions in glass, 70x100cm. 2015.